Julie Baumgartel has been interested in performing Baroque and classical music on period instruments since her undergraduate studies at Indiana University. 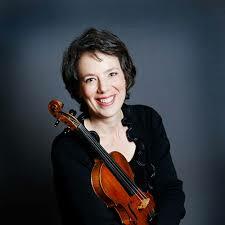 Since then she has performed with Tafelmusik and the Freiburg Baroque Orchestra across Europe, North America and Asia. Now living in Kitchener-Waterloo, she frequently performs with the K-W Symphony and is Artistic Director of Nota Bene Baroque Players. She has been featured in CBC radio broadcasts and performs chamber music regularly at the Festival of the Sound in Parry Sound, with the Gallery Players of Niagara and with the Factory Arts Quartet on the INNERChamber series in Stratford. 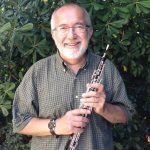 Julie co-founded the Grand River Baroque Festival near Ayr, Ontario with her husband oboist James Mason. In 2011 shejoined the faculty of the Laurier String Academy.